The deadline is looming for EnviroServ to make representations as to why its Shongweni Landfill should not have its Waste Management License revoked or suspended. The Department of Environmental Affairs issued a notice of intention to revoke or suspend the license, last week. The move comes after a flood of complaints over air quality from residents in the Upper Highway area – west of Durban. 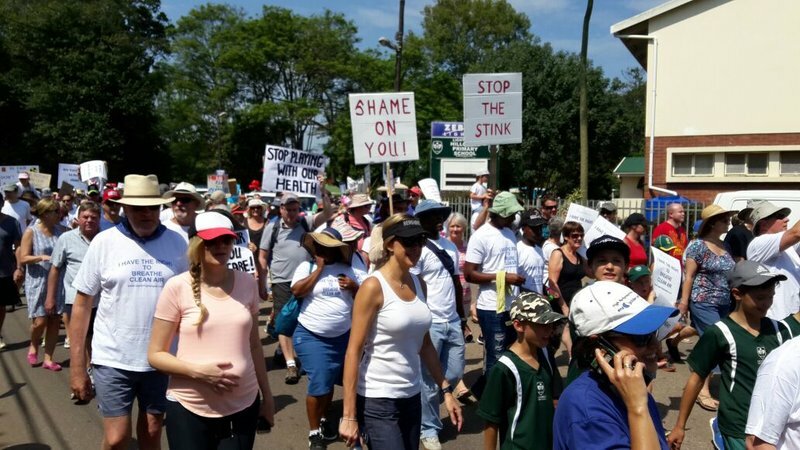 Hundreds of people took part in a ‘toxic trek’ protest march in Hillcrest on Saturday – demanding clean air and a healthy environment. Residents are blaming EnviroServ’s Shongweni Landfill for a chemical smell in the area that they believe poses a health risk to their families. William Mngoma is with the KZN Department of Economic Development, Tourism & Environmental Affairs. He addressed protestors after they handed over a memorandum of demands to EnviroServ. "We will assist in every possible way together with the national department - which is a competent authority on this matter - to ensure that people's rights are absorbed by all," he said. EnviroServ says it was surprised to have received the notice – saying it will fully motivate why it’s not necessary to revoke its license. CEO Dean Thompson says in the interim they remain a fully compliant and legal site. He says it’s unfortunate that the department has succumbed to public opinion.